Georgios K. Georgiou is the founding partner at GEORGIOS K. GEORGIOU LLC in Larnaca, Cyprus. The firm’s specialised team offers legal services and assists clients in their cross-border transactions and complex litigation cases. Mr. Georgiou’s primary area of practice includes immigration law, litigation and arbitration, corporate and commercial law, banking and financing, real estate construction, intellectual property and energy. Mr. Georgiou is a member of the Famagusta Bar Association Committee. 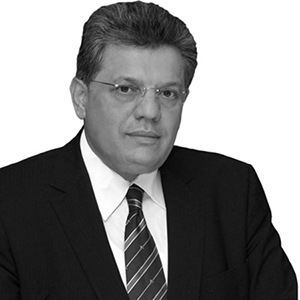 He additionally is a member of Cyprus Parliament of Famagusta constituency since 2001. He is additionally chairman of the House Standing Committee on Development Plans and Public Expenditure Control and a member of the House Standing Committee on Legal Affairs. Mr. Georgiou holds a law degree from Democritus University of Thrace, Greece and degree in public administration and political science from the Panteion University of Social and Political Sciences, Athens, Greece. There’s a lot going on at Horizons, and we’d like to keep you informed. Your trust is important to us. We will never transfer your email address to any third party.